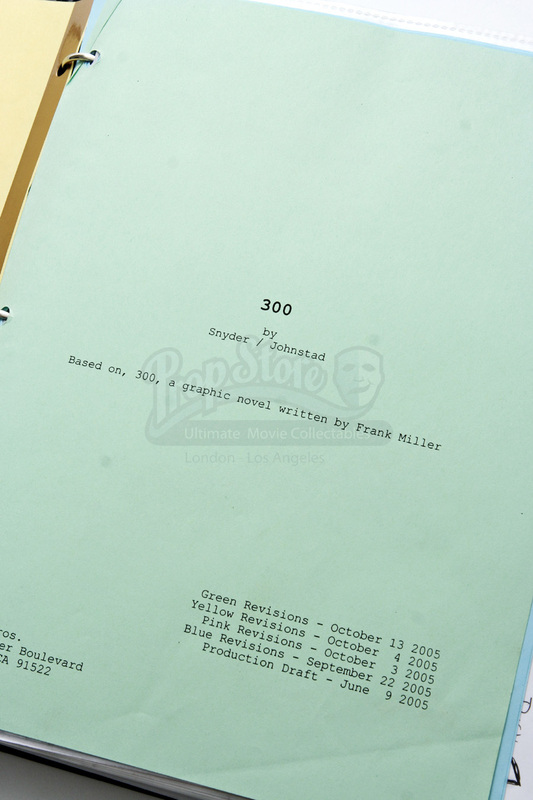 A full continuity binder used in the production from Zack Snyder’s 2006 fantasy war film film 300. 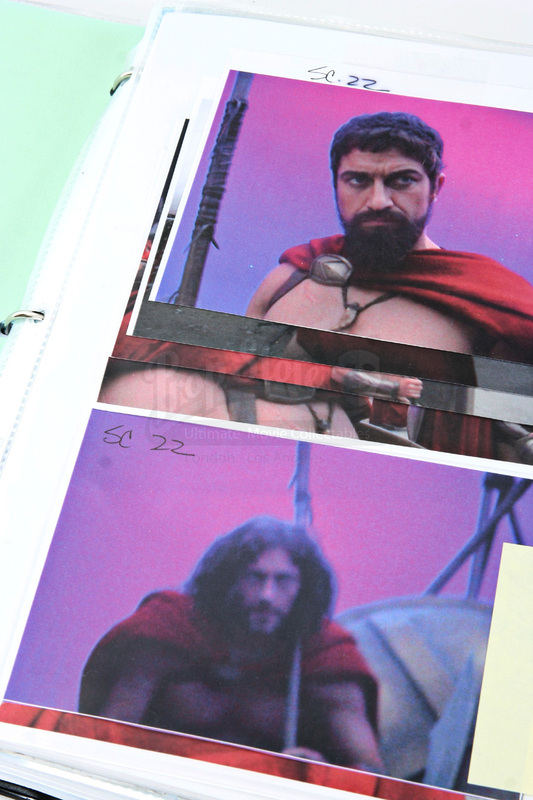 In the film, King Leonidas (Gerard Butler) of Sparta and a force of 300 men fight the Persians at Thermopylae in 480 B.C. 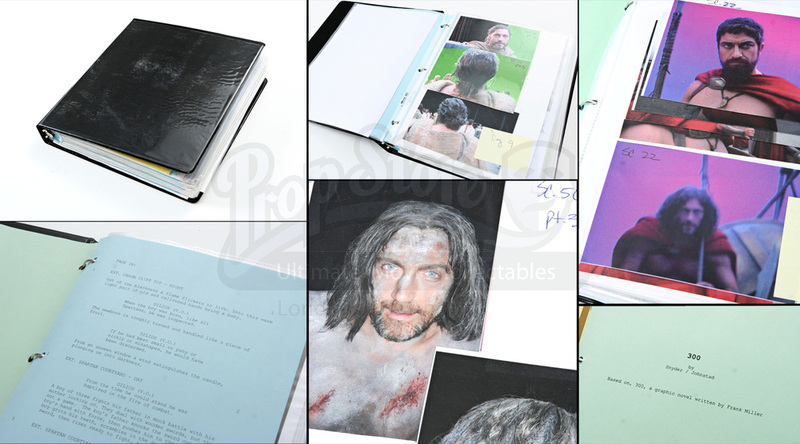 The black binder was created during the filming as an irrefutable tool to reference back to and assist the hair and makeup team in creating the film. 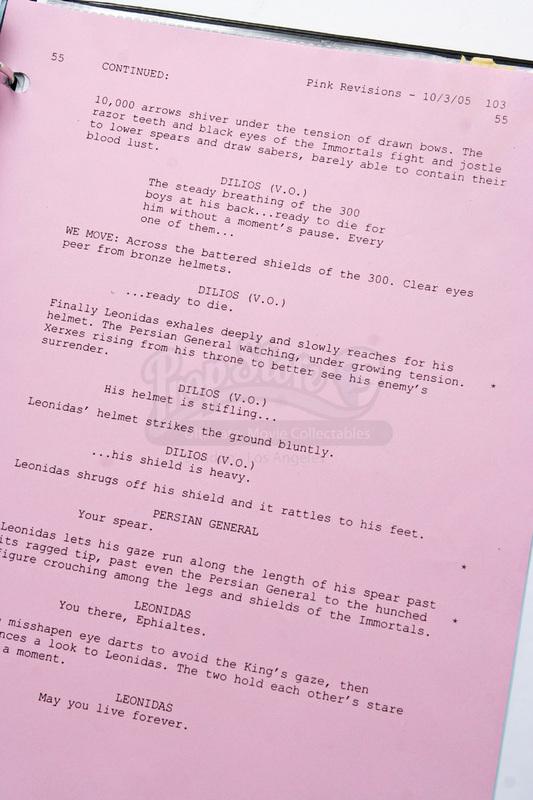 The book primarily features the characters Leonidas (Butler) and Astinos (Tom Wisdom). 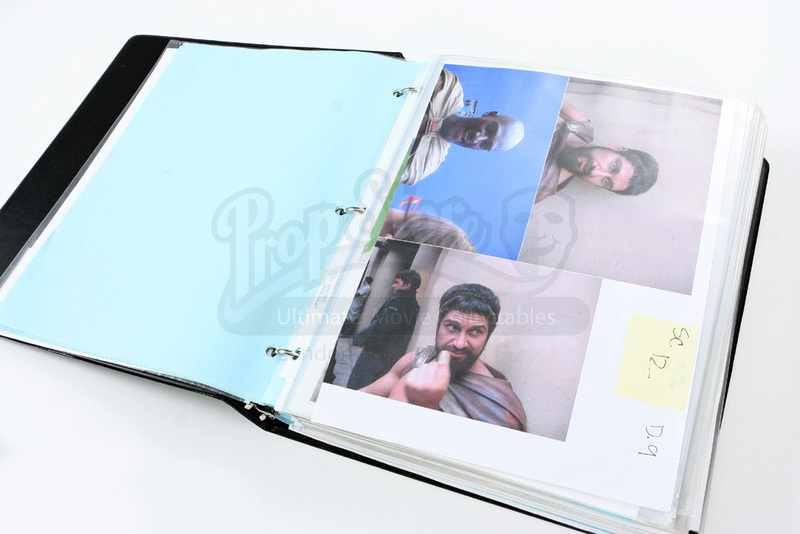 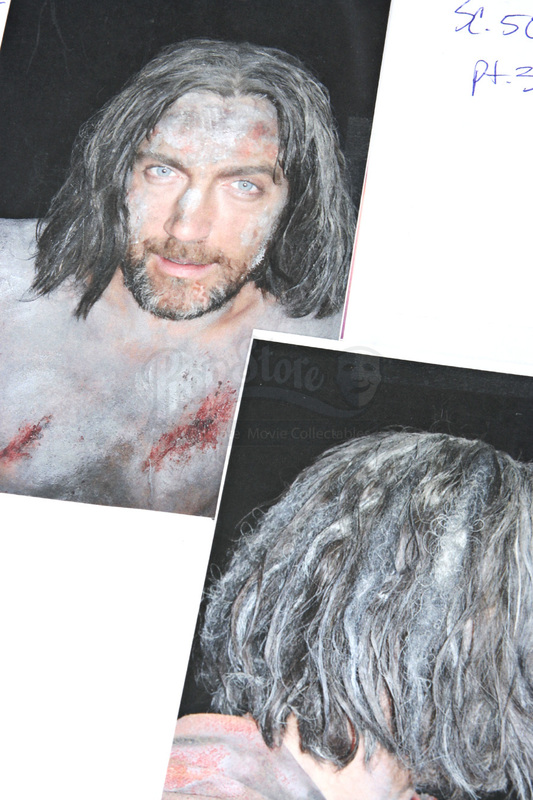 The array of photos document the exact hair style in a specific scene, makeup; even the appearance of a bloody head wound. 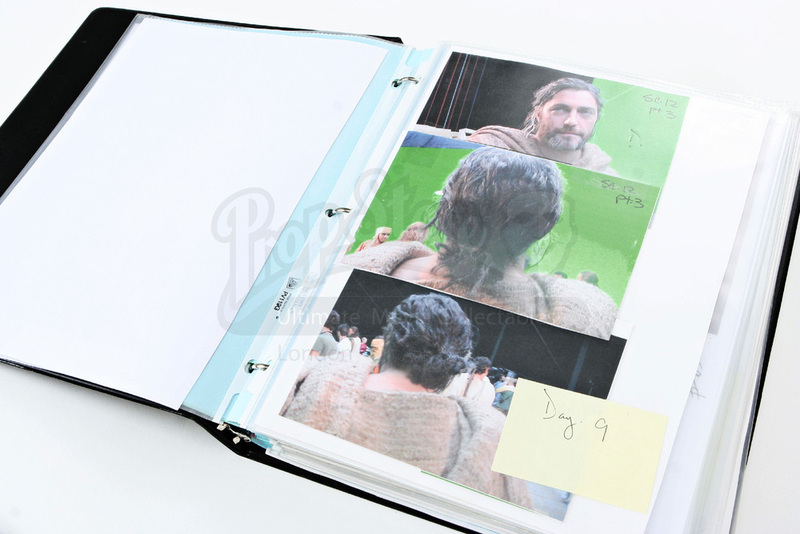 This jam-packed folder doesn’t just contain continuity photos which are split into ‘Days/Nights’ of filming, it also includes the full script which has been sectioned out to match up with the scenes continuity photos. 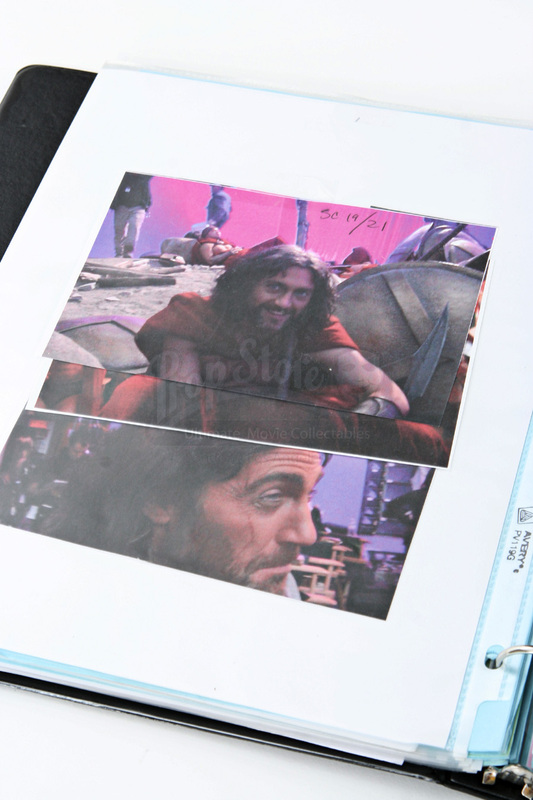 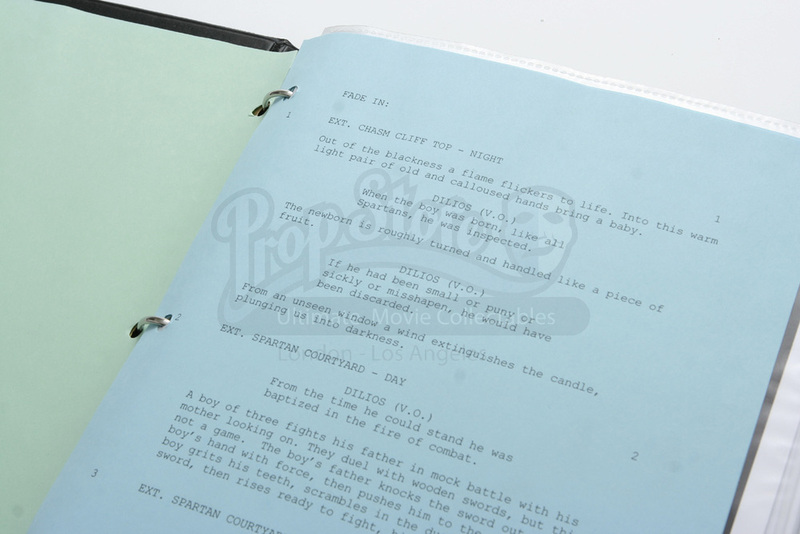 This binder contains a phenomenal amount of information and is a wonderful look into the production of the popular film.